New modern apartments, Fuengirola, from just €99,000, walking distance to the beach. These luxuriously finished apartments overlooking the sea on the Costa del Sol are very attractively priced, making them an excellent proposition for investors and end-users alike. The newly released project is located close to the beach of Fuengirola, with its many amenities, and features modern styling and luxuries such as hot and cold air conditioning, elegant brown veined marble floors, a fully fitted contemporary kitchen, stylishly designed and finished bathrooms, and two spacious bedrooms. The living room/dining room leads out on to a spacious and sunny south-facing terrace that also connects with the main bedroom. From here one overlooks the Mediterranean Sea as well as the communal gardens and swimming pool. This well-kept gated community of apartments with underground parking is attractive in its build, location and pricing. 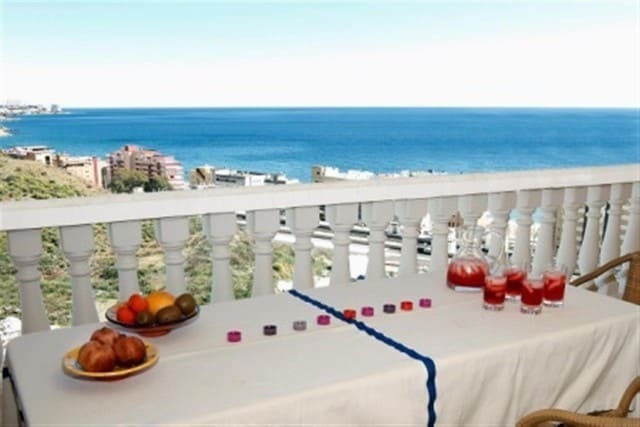 Thanks to these factors it also has great potential as a rental investment and personal holiday home on the Costa del Sol, that is designed for comfort and convenience being close to beaches, golf courses, shops, restaurants and transport centres. Views: Africa, Bay, Beach, Breathtaking, Coastal, Countryside, Excellent, Garden, Green Zones, Marina, Mountains, Natural Park, Open, Panoramic, Pleasant, Pool, Sea, Street, Surrounds, Town, Trees, Urbanisation, Very good. Features 2 Community Pools, 5-10 minutes to Golf Course, 5-10 minutes to shops, Children´s Pool, Climalit windows, Close to all Amenities, Close to schools, Common areas, Community Garden, Community Pool, Completely Equipped Kitchen, Conveniently Situated for Golf, Conveniently Situated Schools, Conveniently Situated Tennis, Covered Terrace, Double glazing windows, Excellent Condition, Exclusive Development, Fitted Kitchen, Fitted Wardrobes, Fully fitted bathroom, Garden, Gated Complex, Good Road Access, Green Zones, Immaculate Condition, Lift, Lounge Dining Area, Luminous, Luxury Fittings, Marble, Marble Floors, Near amenities, Near Transport, Newly Built, Prestige Fitted Kitchen, Private Terrace, Residential Location, Sea Views, Spacious Accommodation, Stylish Accommodation, Walking distance to beach, Walking Distance to cafés, Walking distance to restaurants, Walking distance to shops, Walking distance to town centre, Well maintained community, Well presented.